At Google they say, “Focus on the user and all else will follow.” They embrace that principle in their design by seeking to build experiences that surprise and enlighten their users in equal measure. Google always challenged themselves to create a visual language for their users that synthesizes the classic principles of good design with the innovation and possibility of technology and science. 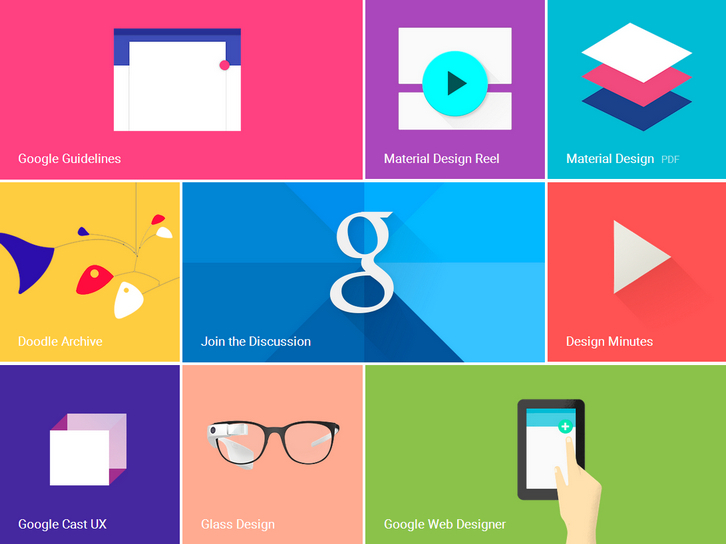 Google Design spec is a living document that will be updated as they continue to develop the tenets and specifics of material design. You can read their design guidelines, download assets and resources.